Get ready to party like a rockstar and hustle your way straight to a big payoff in GTA V. With PlayerAuctions, you can obtain shark cards and steam key the safe and easy way. We specialize in player-to-player mediations for the best possible transactions ever. Safety is our guarantee! Killing, beating people up, stealing stuff, working your way to the top of the city crime food chain, and of course, the eponymous car-stealing: some of the few things the bloody-brutal debauchery-driven urban sandbox franchise that is Grand Theft Auto has been letting you get away with – if you can survive a firefight from the police, that is. And now, with GTA V, you can share the felony-ridden concrete jungle with your fellow players online. But before you start, you might as well get yourself GTA 5 Shark cards. GTA V, for the uninitiated, steers the franchise to a brave, new direction that gives players more room for freedom, more risk and reward, and generally more stuff to waste your time in and distract you from the main plot. 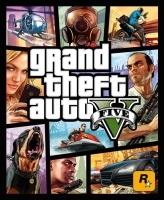 In this latest installment, you'll enjoy doing crime, wasting your time, doing time, or getting wasted in Los Santos, San Andreas: the GTA world's counterpart of Los Angeles, California, which is just as laid-back, upper-class, and “Californian” as the city it's based on. And very much like LA, Los Santos is populated by thousands upon thousands of people. Not just NPCs, but also players, so you can have a good felonious time with your fellow lawbreakers. You can explore the great outdoors – specifically the natural spots that are near the city proper – play a wide variety of mini games, and a lot of other stuff. And to enjoy this American capitalist haven, you need to have the greens, and by that I mean GTA $. After all, the best things in life – guns, a big and comfy crib, and a swanky car – are not free. There are many ways to make money in Los Santos. You can take on jobs, kill people and pick up the small amount of cash they leave, invest in the stock market, and a lot of other stuff. You can also buy GTA Online Shark cards. These items, which can be bought using real-life money, give you dollars in Los Santos, so you should definitely get your hands on one, or three, or five. There are many places online that sell GTA V Shark cards. You can buy them from Rockstar, or you can buy them from players who are selling them for a discounted price. And you can find these players on player-to-player online trading platforms, sites that allow players to buy and sell among each other. A lot of these sites aren't trustworthy; but thankfully, one is: PlayerAuctions. Like previously said, we provide players a place where they can buy and sell anything online game-related. 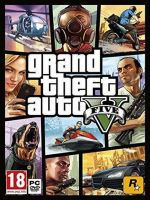 So if you're looking for GTA V Shark Cards – or items, accounts, or currency for other game titles – then PlayerAuctions is your best bet. To ensure that your info and transactions are protected, we have put a PlayerGuardian system in place. And to help you find a seller that will not scam you and sell you a good product, we have the five-tier PowerSeller system, which buyers can use to check our sellers' online reputation. Lastly, should you encounter any problems, we have Customer Support that you can contact 24/7. There's nothing like being a crook in virtual America. So jumpstart your life of crime with GTA V Shark Cards from us, PlayerAuctions. So, you’ve spent lots of cash buying that expensive house and pimping out your ride(s), or perhaps you’ve just got out of an unsuccessful heist. Regardless of the reason, always having cash is a must. With GTA Shark cards, you’ll never run out of money on Grand Theft Auto V (GTA 5). There are six kinds of Shark cards: (1) Red Shark Card, (2) Tiger Shark Card, (3) Bull Shark Card, (4) Great White Shark Card, (5) Whale Shark Card, and (6) the Megalodon Shark Card. The cards provide cash! The Red Shark gives a hundred thousand while the Megalodon Shark offers eight million. What To Do with All This Cash? Well, you could buy the fastest ride in the city, or personalize your possessions (even the one’s you don’t own). Perhaps you can deck yourself out with some new street gear after completing a successful armed robbery. On the other hand, you can blow all your cash on the best guns because ruling the streets is always on the agenda. How about travel in style with the Luxor Deluxe (which is a waste, sadly)? Rockstar’s sandboxes always allow players with freedom to do whatever since money is king. However, the weapons that you must have in your toolkit are (1) the Assault Shotgun, (2) Homing Launcher, (3) Heavy Sniper, and (4) the Special Carbine. You’ll need the artillery so that you can always be ready for any situation. Also, for weaponry, there’s the Armored Kuruma, Insurgent Pickup, and the Savage Attack Helicopter for the getaway and for protecting your rides. Also, make sure to have the Heavy Combat Outfit for the next big robbery or else you may find yourself behind bars or in a body bag. The online gaming environment can get chaotic. If you ever get tired of madness or the frustration from dying by griefers multiple times, then the solution is to buy a GTA 5 steam key. Sometimes, total freedom is hard, and you could start losing structure or a sense of purpose. With a GTA 5 Steam key, you get to play as either Michael (the retired professional bank robber), Trevor, (Michael’s best friend, who’s a psychopathic loose cannon), or Franklin (the young repossession agent with experience behind the wheel). Play through sixty-nine storyline missions, twenty side tasks, fourteen random events, forty-two pastimes, and sixteen miscellaneous tasks. In between tasks, you can run through the standard range of actions in GTA V Online. One is to Hijack cars, get chased by police, shoot down cops with no remorse, and drive away like a badass. Two, walk hard through the streets of Los Santos assaulting or shooting anyone who stares at you, and three, buy some fresh clothes for your lieutenants so that they can continue putting in work. With GTA V, there’s so much to do, which requires your attention. Luckily, there are no griefers in GTA V. You can relax and enjoy the game at your convenience, and nobody can do or say anything about it. So grab a GTA V Steam key or some GTA Online Shark Cards, and enjoy living in the fast lane where every day can be your last. At PlayerAuctions, your information and money are safe because we have a secure PlayerGuardian System to prevent fraud. There’s also the PowerSeller System that shows which sellers are the most reliable through ratings and reviews other buyers have left. You’ll also find the lowest Shark Card prices and the best deals. PlayerAuctions charges less than other third-party sites for our services. The result: cheaper goods and more profit for our sellers. Transactions made on our portal are a win-win for both buyers and sellers. You may also browse our catalog for more great deals on gaming assets for other games. For questions and concerns, you can connect with our help desk via email on the “Contact Us” page. Get your GTA V fix right here! Enjoy your virtual crime spree and live to see another day. Go hard or go home!